"Hi! 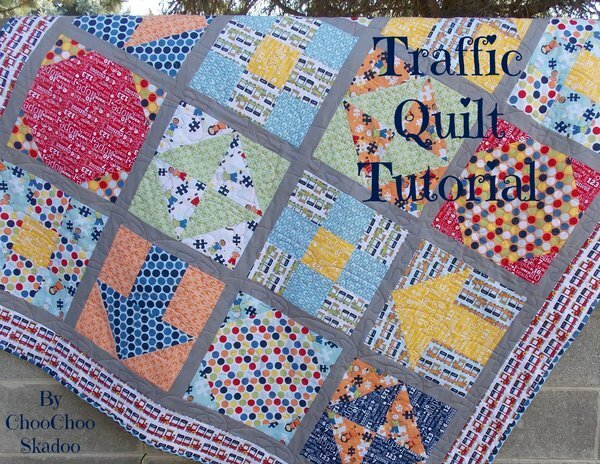 It's Katie from ChooChoo Skadoo and I am so excited to be here and share this quilt with you! I am using the Pieces Of Hope 2 collection. "We will be making 4 different blocks; 4 of each. A total of 16 blocks. 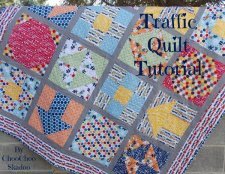 So lets get started on our Traffic Quilt!"